Well, it’s totally official now. 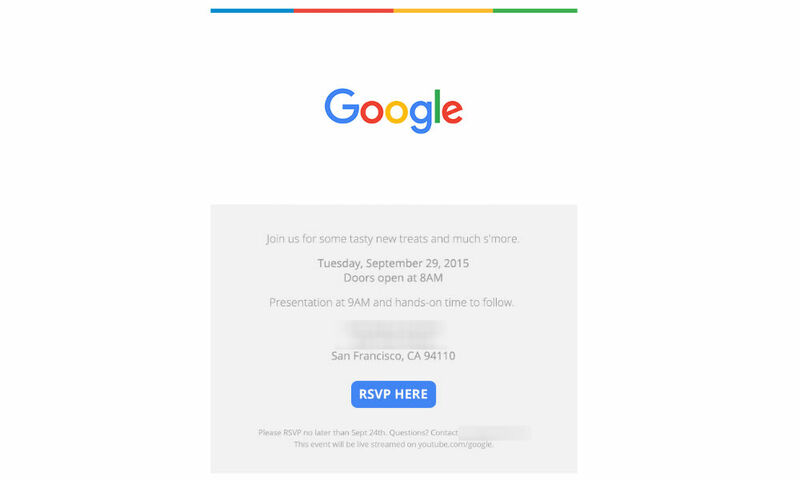 We just received the above invite in our email inbox, detailing a press event Google is set to host on September 29 at 9am in San Francisco, CA. What will they announce? Well, you should already know the answer to that, but if you need a bit of help, it’s likely that we will see two new Nexus devices (Nexus 5X and Nexus 6P), possibly a new Chromecast, full launch details for Android 6.0 “Marshmallow,” and maybe a bit more? According to the invite, the event will be livestreamed at www.youtube.com/google. We will be live at the event to bring you all of the glory Google announces.